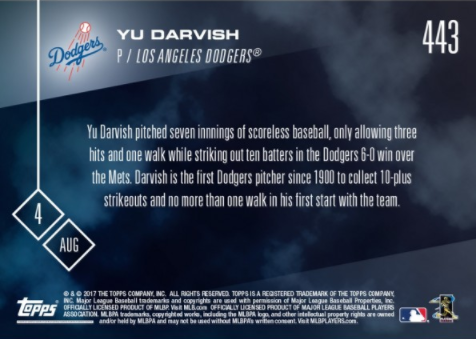 Yu Darvish pitched seven innings of scoreless baseball, only allowing three hit and one walk while striking out ten batters in the Dodgers 6-0 win over the Mets. 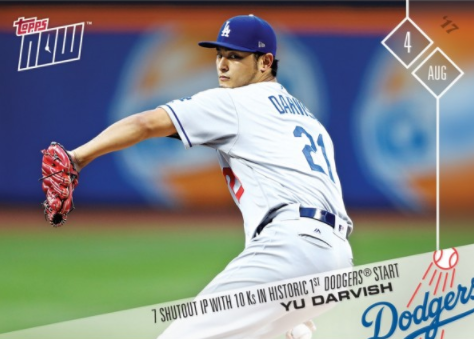 Darvish is the first Dodgers pitcher since 1900 to collect 10-plus strikeouts and no more than one walk in his first start with the team. The Los Angeles Dodgers found themselves down 3-0 early to the New York Mets. 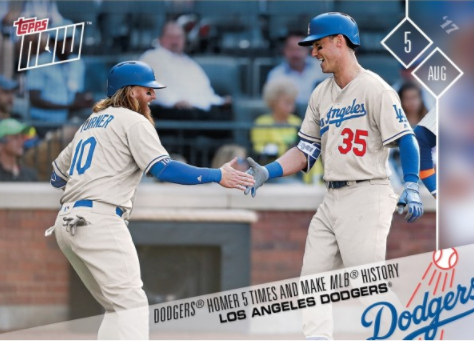 The Dodgers rallied back with homers from Chris Taylor, Cody Bellinger, Yasiel Puig, Justin Turner and Corey Seager that delivered the, a sweet 7-4 victory. 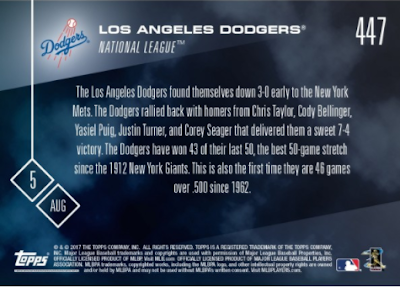 The Dodgers have won 43 of their last 50, the best 50-game stretch since the 1912 New York Giants. This is also the first time they are 46 games over .500 since 1962. "It is history in the making," Dodgers manager Dave Roberts said. "But when you get back to the day to day, I don't think anyone's aware of that. As we talked about a few weeks ago, this is who we are. We play the right way and we are finding ways to win games. They slugged early, we slugged late."